Athlone Town’s losing streak continued as Galway United made it five straight defeats for the Town at the ATFC Stadium last Friday night. In spite of having most of the possession in the opening half, the hosts still found themselves in arrears at the break. United had the points wrapped up by the hour mark with two further scores. A fourth goal midway through the second half sealed victory for the visitors. A case of mission accomplished for Willow Park senior team in their first season as an intermediate club with promotion from the Leinster Senior League Senior Division 1B Sunday now confirmed, as Hartstown Huntstown FC failed to make the trip to DPD Park on Sunday afternoon. 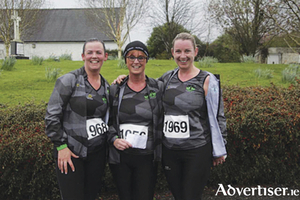 Despite inclement weather conditions, comprising of incessant rainfall and buffeting winds, large numbers graced the starting lines of the respective 5km and 10km runs in the tight knit Clonown community on Sunday afternoon. Athlone Town’s bad run continued as they slumped to a fourth straight league defeat on Friday night. Cabinteely FC were the hosts in Stradbrook and edged out Terry Butler’s men by the odd goal in five. 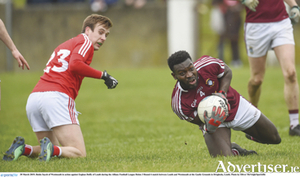 Pride of place to the Westmeath senior footballers this week whose determined performance in Drogheda on Saturday afternoon earned promotion to the National League Division Two at the cost of opponents Louth. 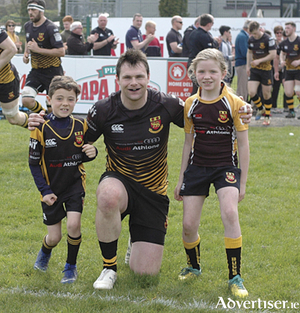 Supremacy mode maintained for St. Peters as an away win at Ballymoe on Sunday afternoon saw the club retain their RDFL Premier Division league title. On a weekend of shock results in the First Division, Athlone Town lost no ground in their pursuit of promotion in spite of losing to Longford Town at home last Friday night. Fellow joint table toppers Bray Wanderers and Shelbourne also lost while Cabinteely passed up on the chance to take advantage of the chaos by losing to Limerick.